Vest: Echo, Tee: Chaser, Pants: Beulah (similar), Shoes: Theysken's Theory, Necklace: Wasteland SF, Crown: c/o My BFF! And the party continues....Such a fun weekend celebrating the birthday with good family, friends, and wine of course! Made these DIY cupcakes in a jar and they were so fun and such a great idea. After all that wine, I mowed the shizz out of one (I lie, it was 2) and it was frank-freakin-tastic! On another note, how adorbs is the birthday crown that my bestie made me wear?! Was the perfect touch of birthday sparkle :). love the vest! its amazing! Loving the red jeans too. I need a pair! So glad you had such a lovely birthday weekend! 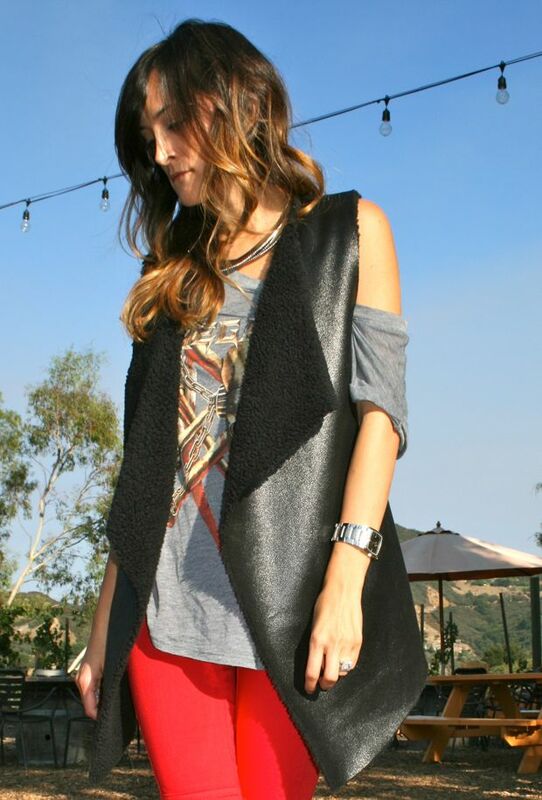 The red trousers, raw cut vest, and Theyskens' Theory wedges make such a chic combination. Hehe yayyy for birthdays!!! :D I LOVE your shoes! That crown is too hysterical! happy birthday!! yummy yummy cupcakes! what a great idea! i want to try it too now! i love your outfit! the red and black are amazing ! You are SOOO adorable!!!!!! Love it!!!!! Happy birthday! Cupcakes in a jar...what a fabulous idea!!! LOVE that shearling vest!!! That's like the best birthday crown ever! And I love the red pants. Especially with those wedges. 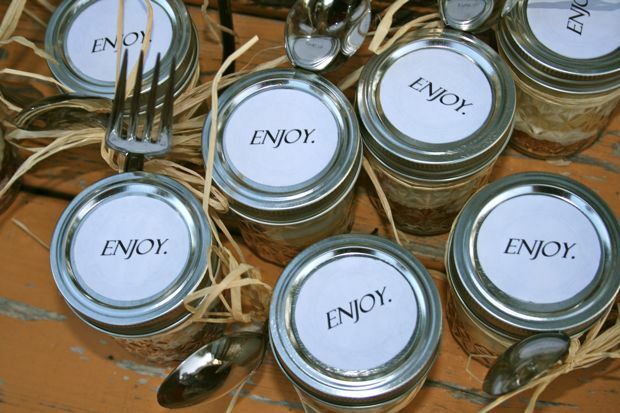 Looks like you had a perfect bday, the cupcakes in a jar are such a great idea! Fab vest girl. Love it! Especially paired with those killer red pants! This is fabulous! Happy Birthday darling! And I am loving the red pants too (and I was wearing my this weekend). oh hel-freaking-lo to you in that outfit. happy happy birthday celebrations to you!! did i tell you my story on those theyskens' theory wedges. NIGHTMARE. picked them up on gilt within 1 minute of sale opening...and they didn't have merchandise to fulfill. i'll just stare at yours. Birthday B*tch...hahahhaah hilario Nic! Hope it was amazing babe...from the looks of that gorgeous smile I'm sure it was! awww you and that crown are ADORABLE! I love that she made you wear that. Sounds like a perfect celebration. Vineyards are the best. p.s. just noticed your watch - love it. I really need a chunky watch like that..
That vest is phenom! AND I love the red jeans. All around fabo... per usual! Happy Birthday Nicole! You look so cute--love the crown! I'm definitely clicking over to see how you did those cupcakes--adorable! And I'm thinking you wear the red jeans better than anyone I've seen-jealous! Hi! I'm new to your blog, but just wanted to wish you a belated happy birthday! Love your hair - is it ombre? Can I relieve you of those shoes lady? Hahaha! What a fabulously edgy look! happy bday!!! and you look so cute. i LVOE your vest! just discovered your blog and you are ADORABLE! :) Great 'fit! holy shizzzz leather moto vest with shearling?!?!?! WHAAA?!?!?! you have the best closet EVER!!!! Glad you had a good birthday and love your vest! The cupcakes in a jar is such a cute idea!!! I want to make those ASAP! That vest looks so cool, I really like it! Love your vest and shoes ! good looking girl! wow. Happy birthday. I'm in love with your red pants. That vest is Amazing and every birthday girl deserves a crown on her birthday! YES! I LOVE this outfit! You look red hot in the red pants by the way!! 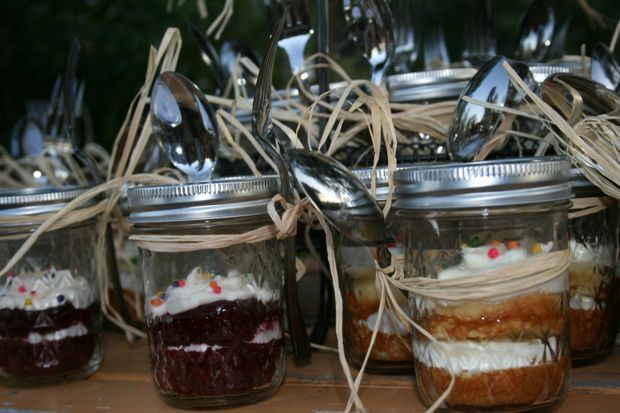 Cupcakes in jar, um hello - what a genius idea! Awww happy birthday! You look beautiful! I'm so glad you had a happy birthday -- you look adorable! And those red skinnies are KILLER. Ahh happy belated birthday lady! 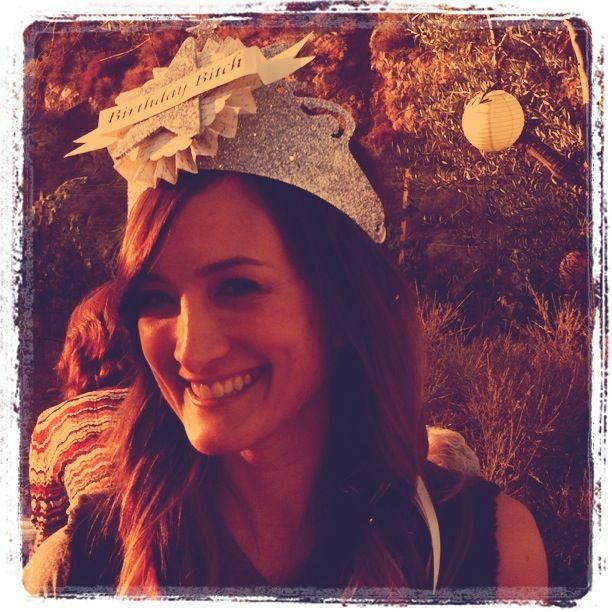 How did I miss this, between the jarred cake, the glittery birthday crown, and the vino you party looks PERFECT! It is your B-day MONTH so feel free to carry it through!